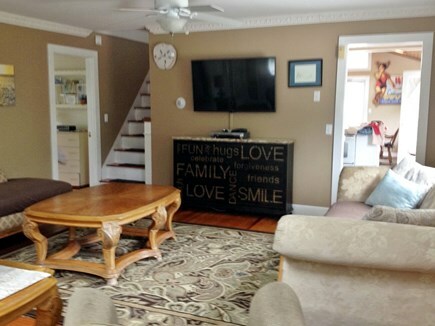 Lovely updated 4 bedroom house, perfect for ''families'' looking for a relaxing summer vacation. 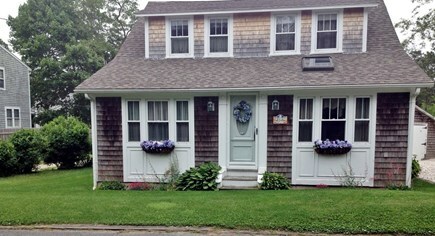 Located off Depot Street/Lower County Road and within walking distance to the beach. 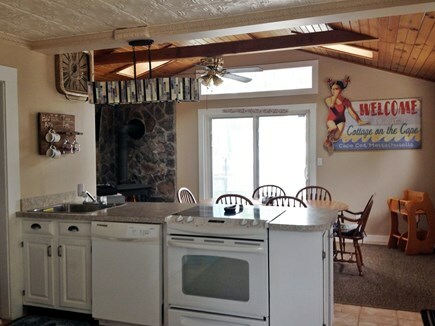 Big country kitchen, half bath off kitchen. Spacious living room with flat screen TV. 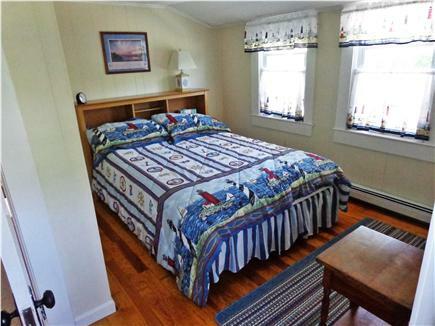 First floor bedroom with master bath and jacuzzi. 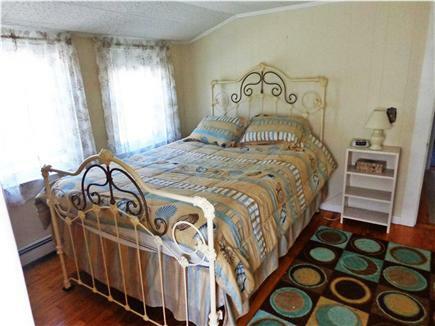 Second floor three bedrooms two with queen size beds and one with 1 twin and 1 cot. One bedroom has TV. 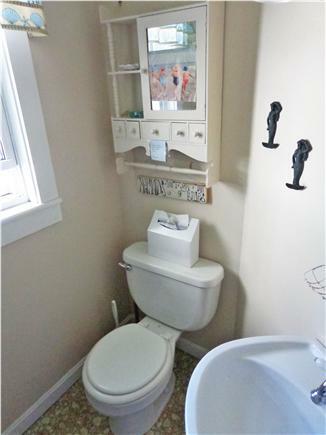 Full bathroom upstairs. Washer/dryer in basement as well as a pool table. 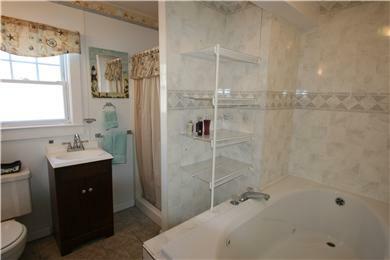 Large deck with patio furniture and gas grill, outside shower and fenced in yard. 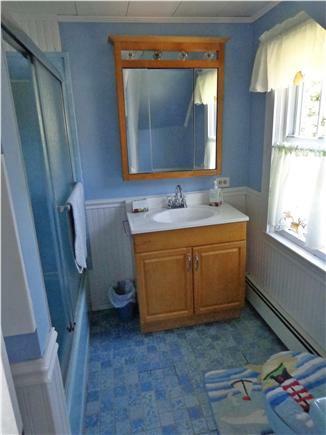 Minutes to Dennisport center. 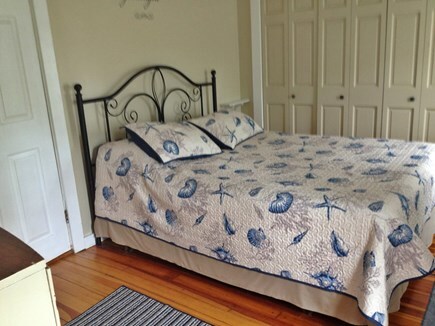 Walking distance to pizza shops, ice cream shops, town library and public park. Will consider small pet. 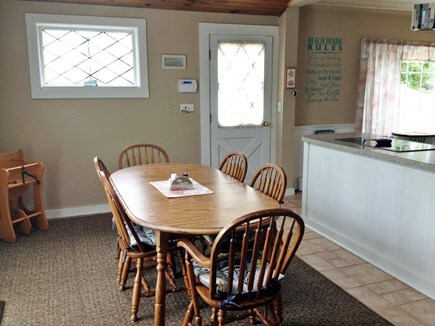 Prefer to rent to families. only.